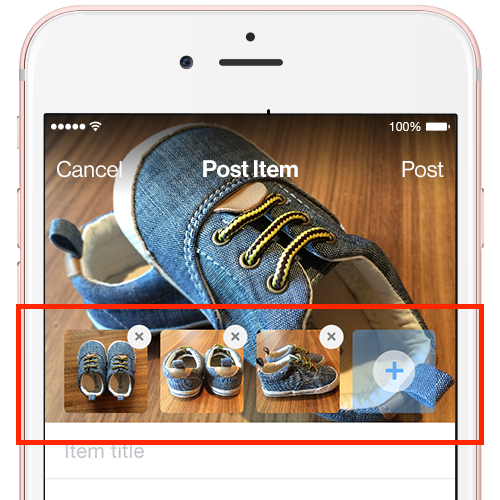 You can include additional photos of your items in comments under your item (if you are using our desktop website), or if you are using our Android or iOS mobile app, upload up to four additional multiple views of your item right when posting! You can also edit your item to add more pictures after posting! PLEASE NOTE: This feature for multiple images while posting is only available on the mobile iOS and Android app. You can still view the multiple images format via your web browser. 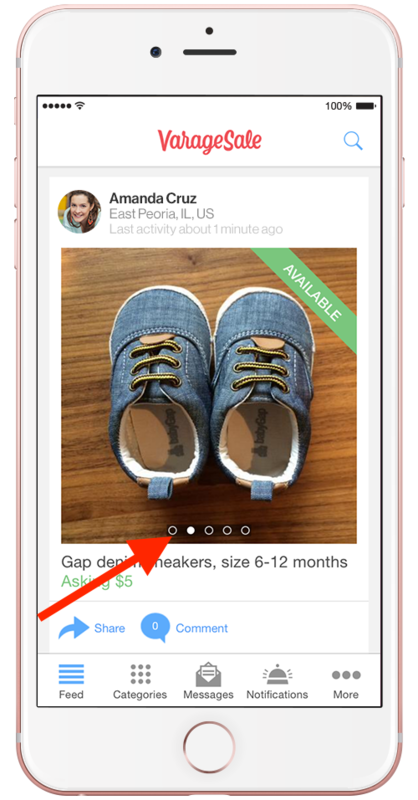 When posting an item using our Android or iOS mobile app, you'll see 4 thumbnails with the "+" icon in each one. Tapping the + will load your gallery to pick additional photos for your item (and rotate images, if possible). Once selected, you'll see the thumbnail appear with your selected pictures filled in. To remove any of the additional pictures, simply press the "x" symbol on the top-right corner of the thumbnail. When you post, the additional pictures are added to the item. When members view your item, they will see the main image selected with dots at the bottom of the image indicating there are additional pictures. Swiping right to left will reveal the additional images you just added.